Hey Beauties! It's time for the second post on Bridal Banter. 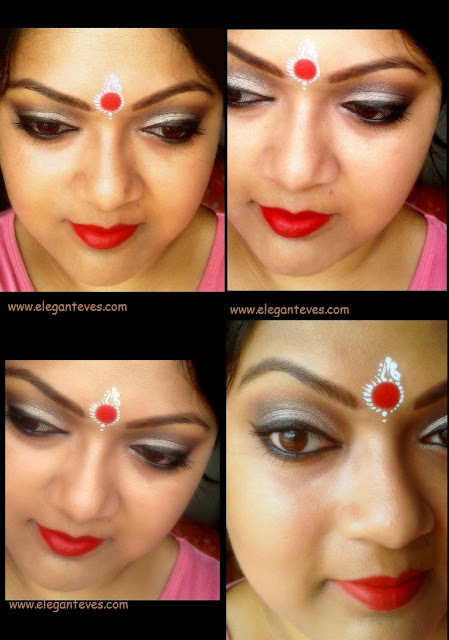 East Indian brides generally do not prefer glittery eye makeup on their weddings and opt for golds and browns(pressed Eyeshadows) for their eyes. 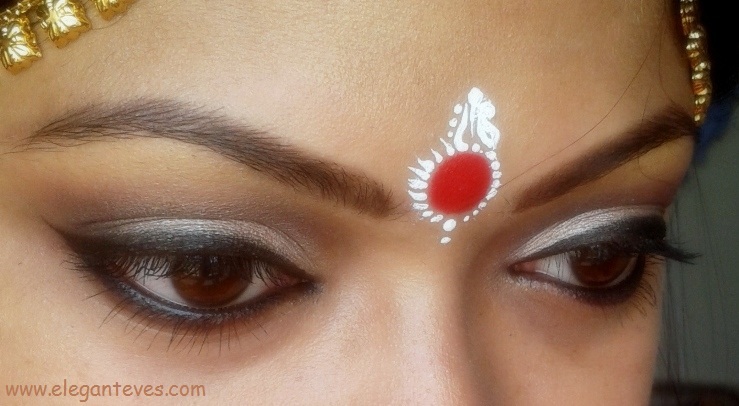 I feel that with heavy gold jewellery, bright red pout and teep (Bindi), its best if we keep the eyes soft (but without compromising on intensity of course!) 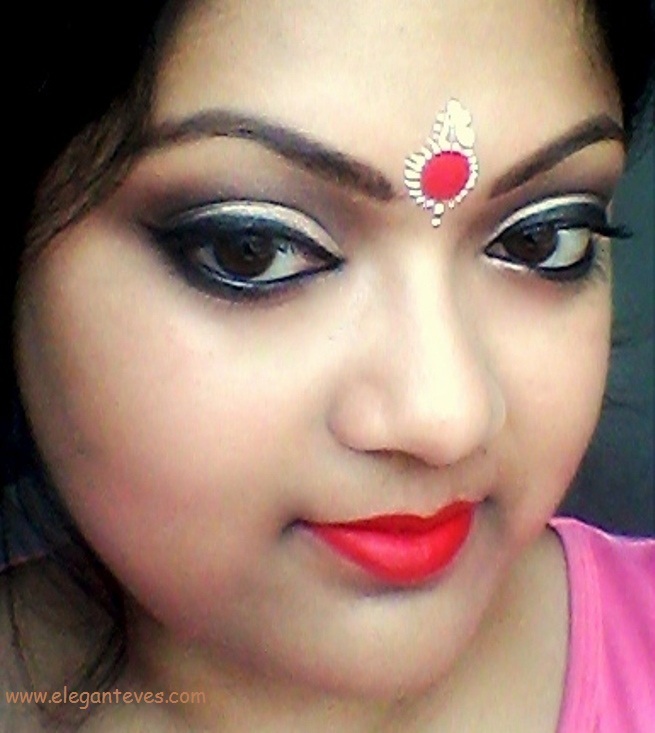 :) Keep coming back to Bridal Banter for different kinds of eye makeup perfect for D-Day! 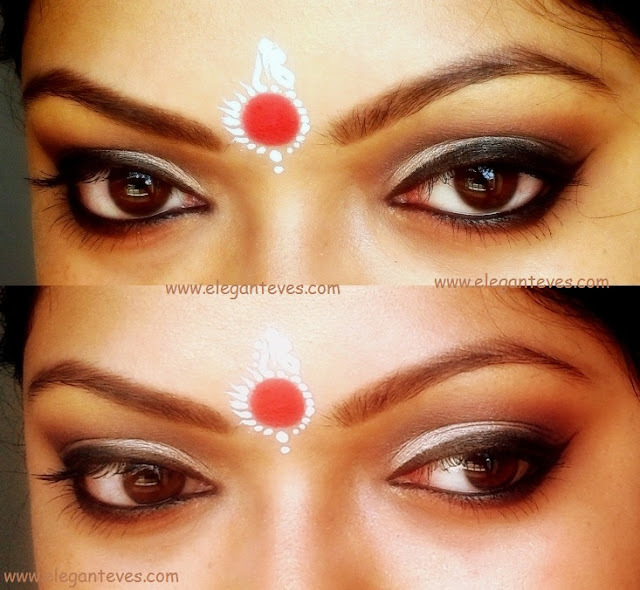 Today, the look in discussion will be Soft Taupe Smokey Eyes. The pictures are self-explanatory but should you have any doubt, drop a question at the comments section :) You will receive answer super soon! 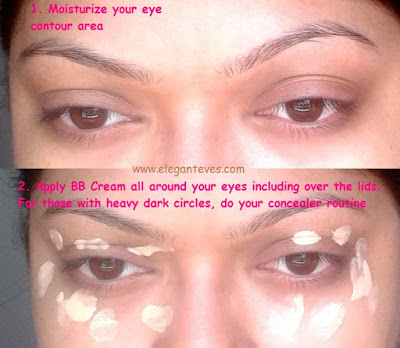 Moisturizing and priming eyes with concealers or eye shadow base is very important for long retention of pigments on the lids. 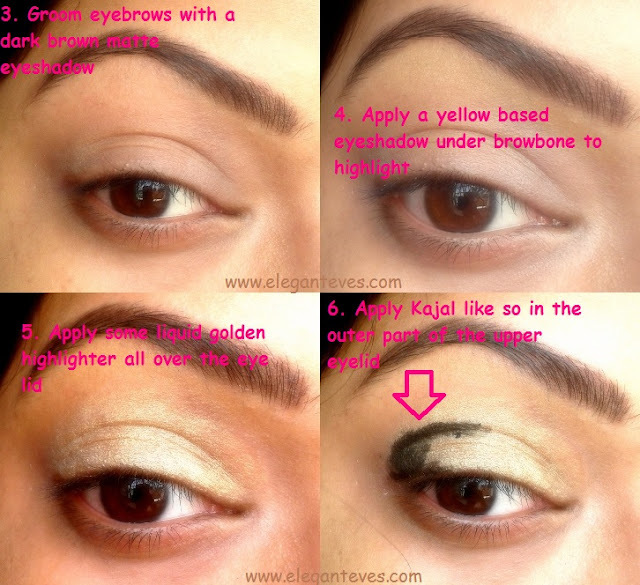 Yellow Based eyeshadows used as brow bone highlighers work best with maximum Indian skintones. Matte Brown eyeshadow used as brow definer helps acheive a natural look for eye brows. Black pencils do not give that look. 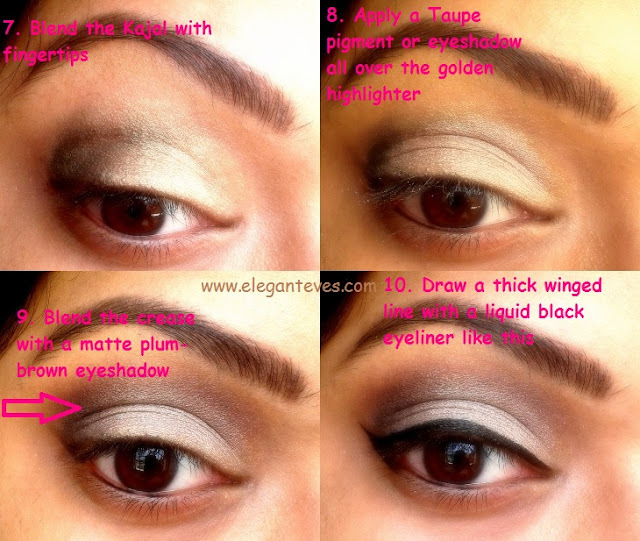 Use a synthetic bristles flat brush to press down the Taupe pigment on the eyelid. Such brushes help in depositing more pigments on the lids than natural bristles brushes. Define the wings with a felt-tip eyeliner first for ease of application.You can intensify it further by topping it with a matte black gel eyeliner later. 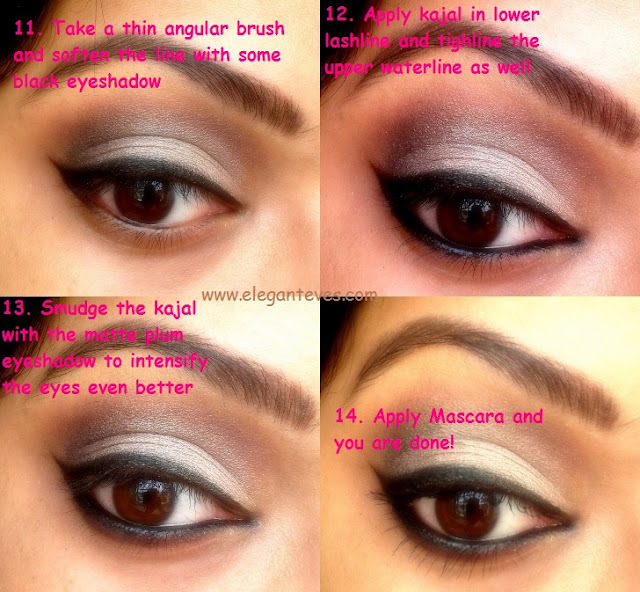 Use a stiff small sized angular brush for softening the thick black line with black eyeliner.